Beneficial Nematodes are an organic and most effective way to battle soil pest. Kills Over 200 different species of soil dwelling and wood boring insects. 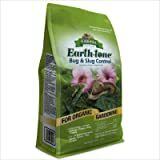 Easy to apply and Harmless to humans and pets. Our Live Beneficial Nematodes are Guaranteed Fresh and a Live! 10 million Nematodes are enough for the preventative control of soil dwelling insects in approx. 600 - 1,000 sq.ft of surface area. For best results or for high infestations. Multiple releases are recommended. Attacks: Weevils; Beetle grubs; Japanese beetle; Masked chaffers; May/June beetles; Black vine weevil; various white grubs; Banana weevil; Bill bug; Colorado Potato beetle; Cucumber beetle; Sweetpotato weevil; Asparagus beetle; Carrot weevil; Banana moth; Citrus root weevil group; Sugarcane stalk borer; Various tree and vine borers; Bagworms; Flea beetle; Fleas and over 200 other species. 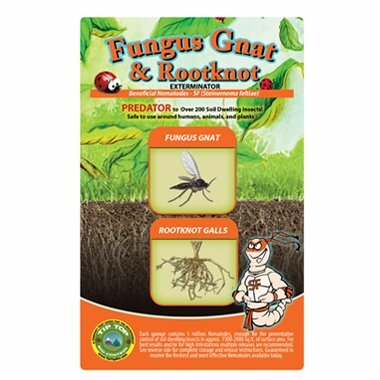 Our nematodes control the grubs or immature stages of the above listed pests. This is one of the oldest known and best of the insect parasitic nematodes. Release rates: 10 million Nematodes are enough for the preventative control of soil dwelling insects in approx. 600-1000 sq.ft of surface area. For best results or for high infestations. Multiple releases are recommended. Prewater the area to be treated first, apply nematodes and water after application. Return to normal watering. H. bacteriophora enters the host and kills it within 24 to 48 hours, it then reproduces within the host and searches for new hosts, which provides long-term control. The solution can be applied directly using a watering can, hose end, backpack, or pump sprayer or through irrigation or misting systems. Release nematodes early in the morning or predusk when temperatures are cooler and the sun is not so bright (UV rays harm nematodes). Pest insects will be high enough in the soil for the nematodes to find and the soil temperature will not be so hot that the nematodes are killed. Optimum Temperatures to Apply Beneficial Nematodes: Air Temperature: Apply nematodes when night time temperatures are no lower than 42° F. Soil Temperature (2" below surface) No lower than 42° F and no higher than 90° F. The air temperature guide above is a good rule for estimating soil temperature. Nematodes are exempt from the Environmental Protection Agency (EPA) regulations because they are not harmful to humans or animals. We guarantee our bugs to be fresh and live!